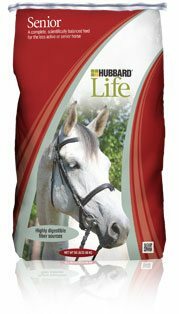 A 12% protein, 3% fat and 6% fiber feed, great for the companion horse or the easy keeping performance horse. Supplemented with vitamins and minerals to meet the nutritional requirements of the horse. Added probiotic to support hind gut health. A 14% protein, 8% fat and 19% fiber pelleted feed formulated without corn or molasses for a low NSC level. Great for the hyper-active horse or a horse with metabolic problems. Added probiotic to support hind gut health. A 14% protein, 6% fat and 12.5% fiber pelleted feed formulated with the active horse in mind. Designed to be fed to mature and growing horses. Added probiotic to support hind gut health. 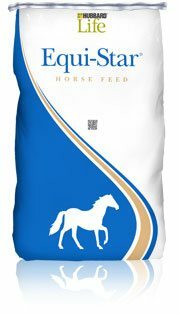 A 14% protein, 6% fat and 18.5% fiber pelleted feed formulated with the senior horse in mind. This alfalfa meal-based pellet can be fed along with hay or as a complete feed at an increased feeding rate. Added probiotic to support hind gut health. A quality grain mix formulated for the easy keeper and those horses on ample grass pasture or quality hay. Supplemented with vitamins and trace minerals it is perfect for basic maintenance and light riding horses. A quality grain mix formulated for those horses on ample grass pasture or quality hay, but also require added protein. Supplemented with vitamins and trace minerals to meet the necessary nutritional requirements for growing and mature horses. An economical horse feed formulated for those horses on ample grass pasture or quality hay. Supplemented with vitamins and trace minerals providing nutritional balance to meet the requirements for the “Easy Keeper” horse. An economical horse feed formulated for those horses on ample grass pasture or quality hay, but that also require added protein. Supplemented with vitamins and trace minerals providing nutritional balance to meet the necessary requirements. A pelleted 13% crude protein horse feed with 7% total fat formulated to be fed with forage (hay/pasture), to a variety of horses where lower levels of carbohydrates are recommended. The high level of fat will supply a metabolically “cool” energy. The optimal levels of vitamins, minerals and proteins willhelp keep the horse in correct body condition. 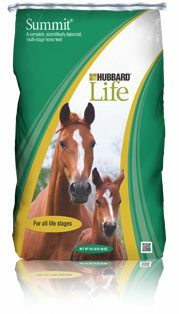 A 14% feed designed to meet the nutritional requirements of horses at all stage of life. It is fortified with organic trace minerals, vitamins, and yeast for better nutrient absorption, and overall health of your horse. A 13% protein feed that is formulated for the older or inactive horse that may have teeth or other health issues that prevents them from consuming adequate amounts of feed. Added yeast improves digestibility and nutrient uptake. Highly digestible soluble fiber ources compensate for the reduce feed digestion in aging and stressed horses. 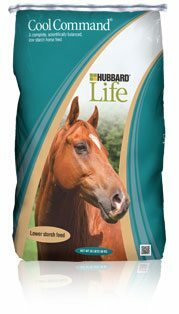 A fully fortified feed that supplies balanced nutrition for the maintenance of pleasure horses. Is available in texturized or pelleted form. Grain products, plant protein products, calcium carbonate, monocalcium phosphate, dicalcium phosphate, molasses products, processed grain by-products, salt, lignin sulfonate, zinc sulfate, sodium selenite, vitamin E supplement, manganous oxide, copper sulfate, ferrous sulfate, vitamin A supplement, vitamin D supplement, ethylenediamine dihydriodide, cobalt carbonate, Zinc Hydroxychloride, Manganese Hydroxychloride, Mineral Oil, Copper Hyrodoxychoride, Calcium Iodate, Biotin, propionic acid, acetic acid, ammonium hydroxide, vermiculite, sodium bentonite, calcium bentonite. Feed at a rate of 0.5% up to 2.0% of the body weight. Also feed a good quality mixed hay at a rate of 1% to 2% of the body weight. Provide free choice salt and mineral to all horses at all times. Always provide clean, fresh water at all times. Coarse ground corn, whole oats, plant protein products, processed grain by-products, roughage products, molasses products, calcium carbonate, montmorillonite clay, diatomaceous earth, dextrose, sucrose, calcium silicate, propylene glycol , artificial flavor ingredients, zinc sulfate, manganous oxide, copper sulfate, vitamin E supplement, vitamin D supplement, vitamin A supplement, sunflower oil, sodium selenite, ethylenediamine dihydriodide, cobalt carbonate, sodium carboxymethyl-cellulose, corn distillers dried grains with solubles, soybean oil, saccharomyces cerevisiae yeast culture, dried enterococcus faecium fermentation product, dried lactobacillus acidophilus fermentation product, dried aspergillus niger fermentation extract, dried trichoderma longibrachiatum fermentation extract, dried bacillus subtilis fermentation extract, calcium propionate. Grain products, Fiber Pellet, plant protein products, processed grain by-products, calcium carbonate, montmorillonite clay, diatomaceous earth, dextrose, sucrose, calcium silicate, propylene glycol., molasses products, sodium slenite, vitamin E supplement, zinc sulfate, manganese sulfate, copper sulfate, soybean oil, flavoring, ethylenediamine dihydroiodide, vitamin A supplement, vitamin D3 supplement, cobalt carbonate, calcium propionate. Grain products, plant protein products, processed grain by-products, calcium carbonate, montmorillonite clay, diatomaceous earth, dextrose, sucrose, calcium silicate, propylene glycol., molasses products, sodium slenite, vitamin E supplement, zinc sulfate, manganese sulfate, copper sulfate, soybean oil, flavoring, ethylenediamine dihydroiodide, vitamin A supplement, vitamin D3 supplement, cobalt carbonate, calcium propionate. Feed at a rate of 0.5% up to 1.5% of the body weight. Also feed a good quality mixed hay at a rate of 1% to 2% of the body weight. Provide free choice salt and mineral to all horses at all times. Always provide clean, fresh water at all times. Grain products, roughage products, molasses products, plant protein products, calcium carbonate, salt, monocalcium phosphate, dicalcium phosphate, Processed Grain By-Products, Vitamin E Supplement, Zinc Hydroxychloride, Manganese Hydroxychloride, Mineral Oil, Copper Hyrodoxychoride, Vitamin A Supplement, Vitamin D Supplement, Cobalt Carbonate, Calcium Iodate, Biotin, calcium propionate, sodium selenite. Grain products, plant protein products, roughage products, molasses products, processed grain by-products, sodium slenite, vitamin E supplement, zinc sulfate, manganese sulfate, copper sulfate, soybean oil, flavoring, ethylenediamine dihydroiodide, vitamin A supplement, vitamin D3 supplement, cobalt carbonate, calcium carbonate, salt, calcium propionate. Feed at a rate of .5% up to 1.5% of the body weight, depending on body condition of the horse. Also feed a good quality hay at a rate of 1% to 2% of body weight. Provide free choice salt and mineral at all times. Provide clean fresh water at all times.